The term ‘confidence’ is always paired together with fragrance — promising a boost of conviction and sensuality with every spritz. This is the same spirit Versace is celebrating in its newest fragrance, Pour Femme Dylan Blue. Strong and sensuous, yet a refined scent for a woman who knows her own power, Creative Director of the brand, Donatella Versace has created this fragrance as a tribute to femininity. Precious, natural ingredients are used into crafting this irresistible fragrance, each offering a seamless transaction of scents. It’s an alchemy of alluring notes that come together perfectly, like your favourite tune. 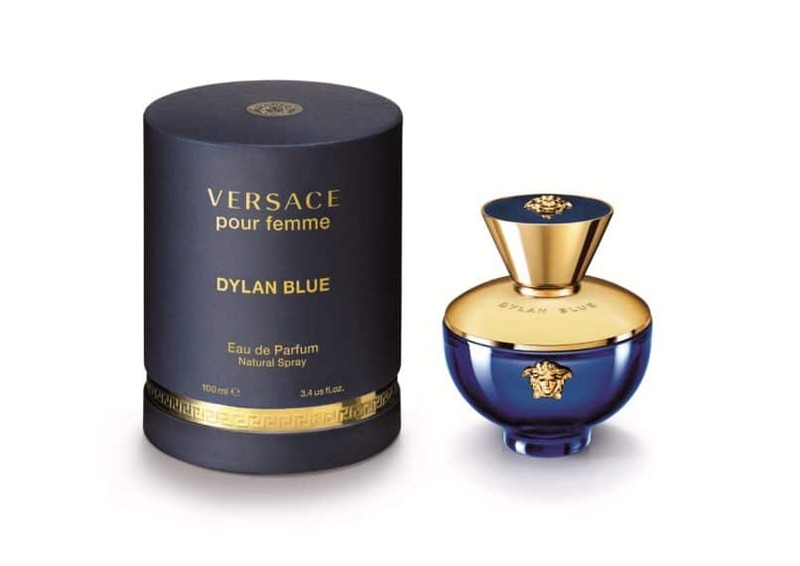 Versace Pour Femme Dylan Blue is also created to be matched with the men’s fragrance. At first whiff, you’ll experience a burst of juicy and refreshing notes. Blackcurrant sorbet and Granny Smith apple combined, create an unusual fruity opening. Its freshness then evolves to something captivating and uplifting — like stepping into a garden of wild blooms. Jasmine, Rosyfolia and Eglantine roses set as the middle notes of the Versace Pour Femme Dylan Blue. As scent settles in, woody base notes of musk and patchouli emerge — creating a captivatingly sensuous and vibrant trail. Versace Pour Femme Dylan Blue’s elegant and curvy bottle design evokes Greek culture and mythology, featuring the brand’s iconic Medusa, and gold details that represent the link between the past and present. The rich blue colour that coats the bottle is as intense as the Mediterranean Sea; symbolising a sense of mystery that is captured in the ‘potion’. The Pour Femme Dylan Blue EDP retails at RM268 (30ml), RM380 (50ml) and RM497 (100ml). Here’s where you can discover the new Versace Dylan Blue fragrance. Be part of a multi-sensorial experience with Versace at KLCC Ground Floor KG5 from the 13th-19th of August 2018. Don’t miss out on a personalised engraving service that is only available on the 17th of August 2018, from 12.00 to 8.00pm.